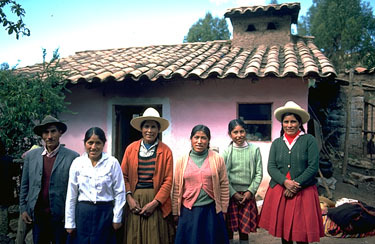 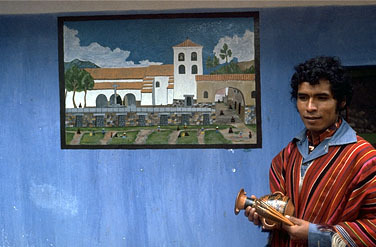 Nilda Callañaupa (second from left) and several members of her family stand in her parent’s courtyard in the house in Chinchero, Peru where Nilda was born and grew up. 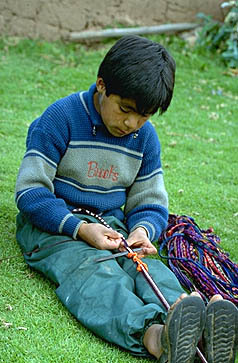 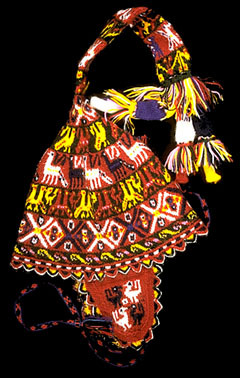 (Pronounce Callañaupa as “KI an au` pa”). 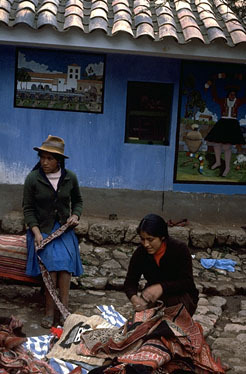 At night or when it rains the family gathers near the open cook stove in the kitchen (seen here in the background as a small separate building). 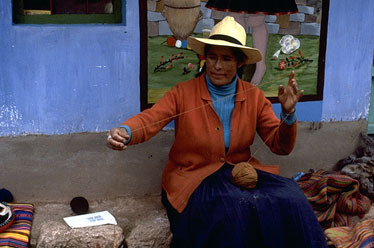 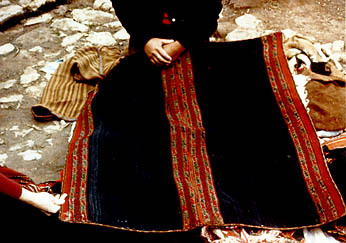 At that time, the family in Chinchero did not own a car. 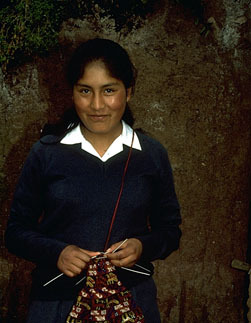 Vincente, Nilda’s father (left), a skilled farmer, walked almost an hour a day both to reach and to return from his fields. 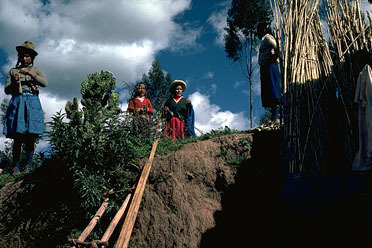 It is not unusual for Vincente to walk eight hours over the mountains to visit family and friends in other high altitude villages.